I share a lot with you here on this blog, but there is a lot more I have to share with you that just isn't practical to post here. Sometimes I find an awesome sale online, or have a cool fashion event to share, or sometimes tips and tricks on thrifting or a DIY project. Basically, it's where I can post all the cool tidbits I don't have room to post here. 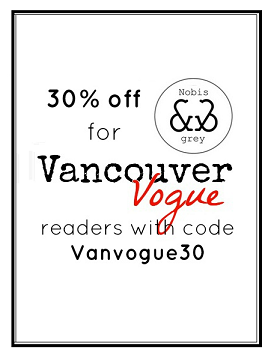 So if you're interested in keeping up with me on a more regular basis, then join Vancouver Vogue on Facebook!